Miller Redesigned the Millermatic 211 for Better Portability and Utility, so We Had to Check it Out for Ourselves! 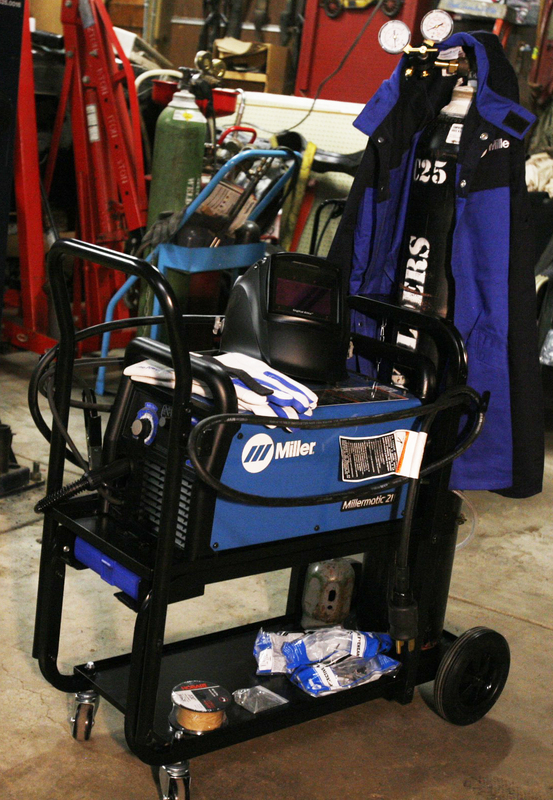 The Millermatic 211 is an extremely popular MIG inverter welder amongst gearheads, partially due to its versatility, flexibility, and of course portability, but we knew it had to go beyond that to come so highly recommended by shops we visit. So we wanted to check this thing out ourselves since we’ve got a whole slew of project cars and tech stories to knock out this summer. 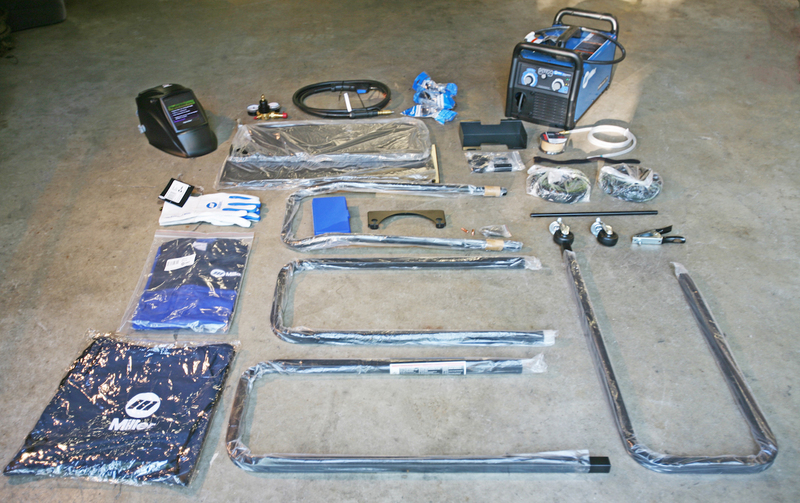 We wanted to see for ourselves what set the Millermatic 211 apart from other portable welders in its price range, and not to spoil the rest of the article for you, but we’re sold after some hands on time with it. While not specifically targeted towards the automotive builders out there, you can tell by the people who use it that it’s a top pick. It’s recently been updated for even more improved portability, which is just something you can’t get around needing in a metal shop or in the garage. Miller brought the welder, along with many other welders in their line, to the 2016 SEMA show in Las Vegas. It was here that we got to check out the new design of the machine. Even though the model has been around for a while, the new design is lighter and uses and it’s inverter technology to make that possible. The welder alone is listed at $1,199 and with the extra cart would be $1,355, and both include a $50 rebate offer through Miller right now, so it’s a good time to jump on one. This positions the Millermatic 211 above ‘consumer grade’ starter welders, but below professional welders, with many advanced features for a fraction of the price of similar setups. 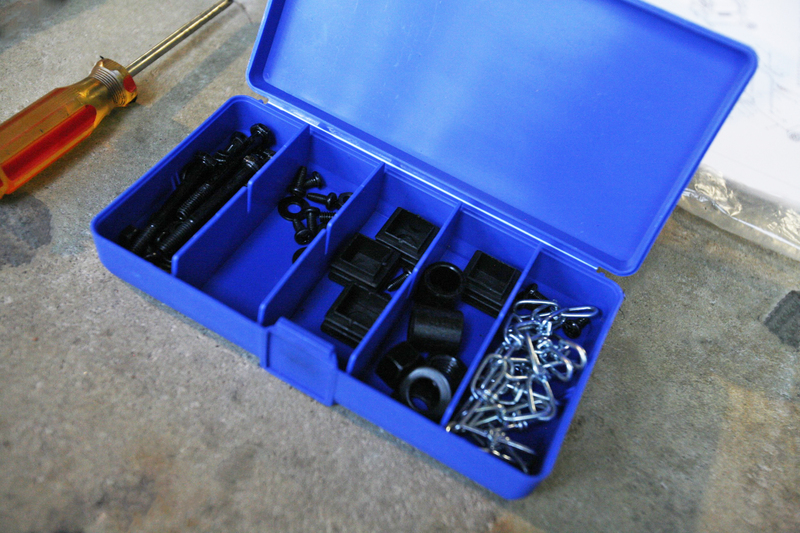 For our use, we really wanted the version that came with the cart, which they refer to as the Running Gear Pack, and includes a cylinder rack. 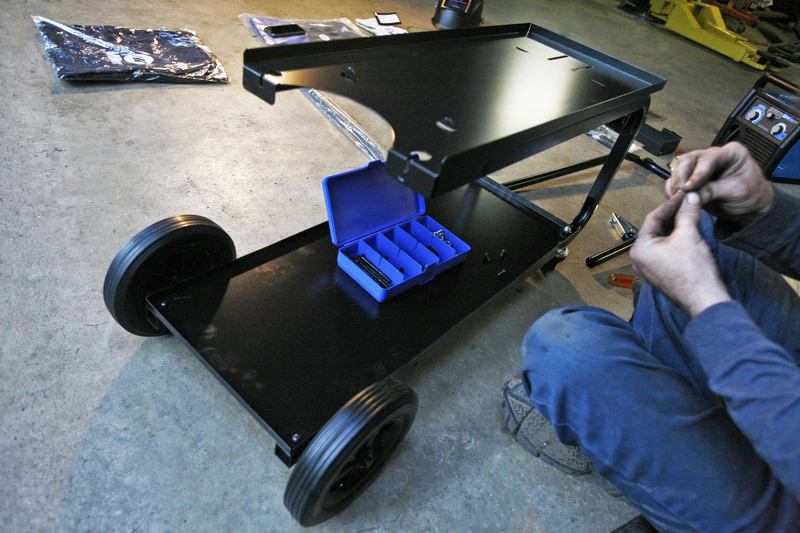 It’s small and light enough at only 38 pounds to pick up and carry around our shop, but we liked the idea of the added help from the cart. When we pulled it out of the box, the lightweight design was really the first thing we noticed; although we already knew it was only 38-lbs., it’s hard to get an idea of how that feels until you pick it up. Then of course, that killer blue unmistakably Miller welder finish is something you can’t help but get the warm and fuzzies about. 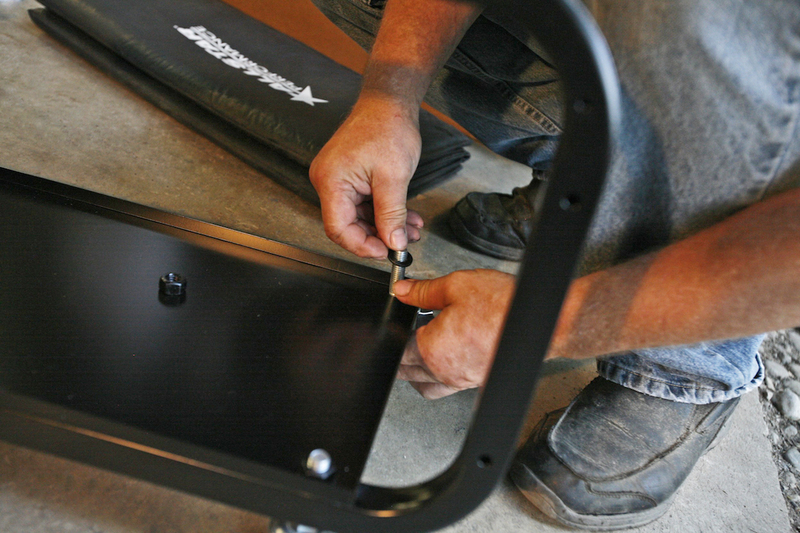 Before we fire it up, there are a few things we need to do, like put the cart together. All we needed was some basic hardware and hand tools. This is a pretty straightforward task and nothing was super complicated about it. Following instructions we assembled the cart for the welder that comes in the pack, it took just a few minutes to set it up. 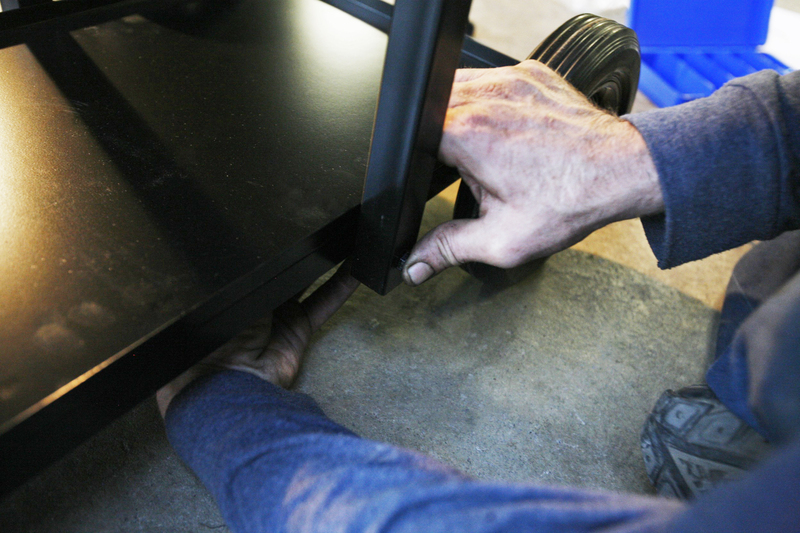 It actually ended up being very sturdy, much more than what we expected, and this thing looks great and rolls very easily across the shop floor. Setting up the regulator was next up. This one reads out not only cubic feet per hour, but also liters per minute. There’s two valves on the regulator, one that shows you how much is in the tank, while the other shows you how much is leaving the tank. 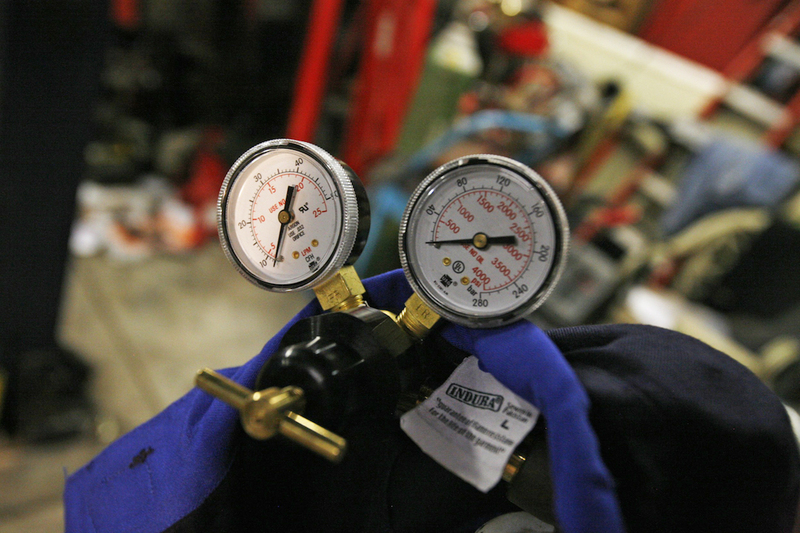 The regulator is attached at the tank and from there you can adjust the amount of shielding gas that’s fed into your welding gun. There’s two valves on the regulator, one that them shows you how much is in the tank, while the other shows you how much is leaving the tank. The valves are attached to the tank and the hose runs from the valves to the back of the welder. Just slide the hose onto the barb and clamp it, much like many coolant hoses on a car. This is where the other side of the hose attaches to the welder after it comes off the regulator. The 10 foot M-1000 MIG gun and cable assembly is very ergonomic and just the right size for this machine. It comes with two contact tips and their Smooth-Start system will help these run with a smooth, spatter-free start. The new angled cast aluminum drive system with meticulously calibrated tension knob provides a steady wire feed and is easy to set up. If you wanted to upgrade your gun, you can do so up to 15-feet with this drive system and still get a consistent feed. Just select which plug you need and connect the chord. 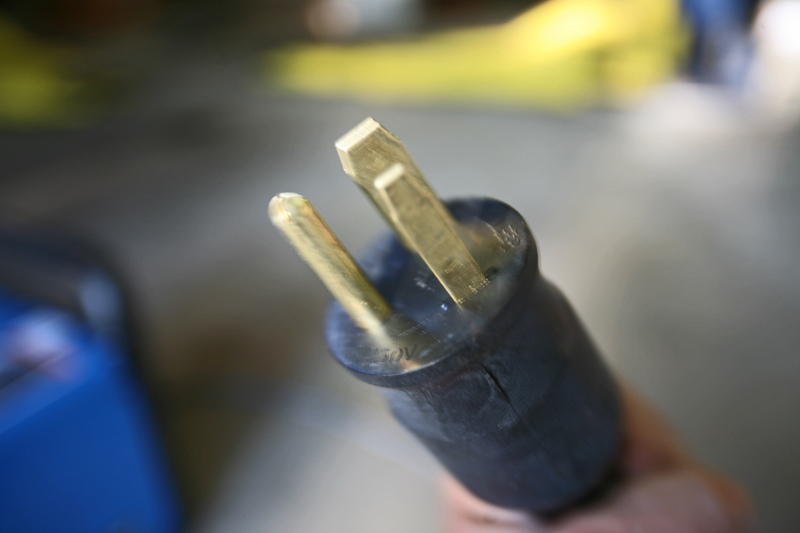 Before we throw on our safety gear and give it a go, let’s talk some more about the features that make this welder awesome for car guys. 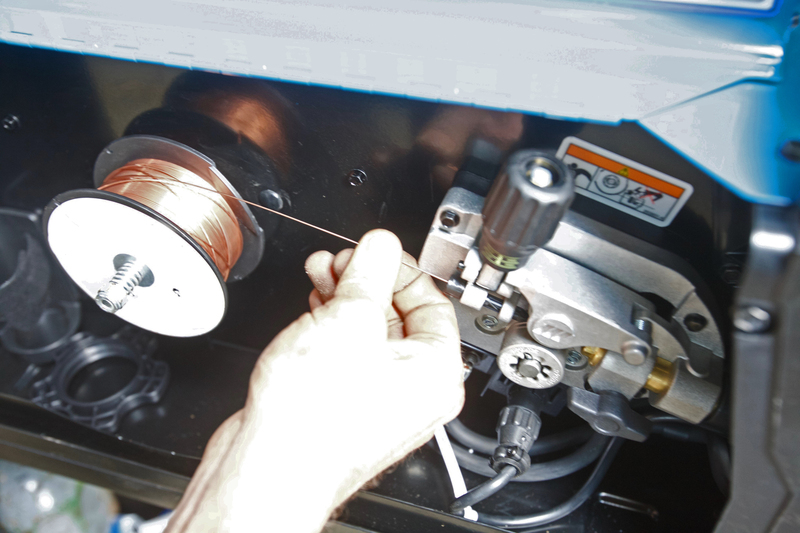 The Advanced Auto-Set is a really useful part of this design that makes this easy-to-use welder even more versatile — it includes five different wire/gas combinations and 0.6mm wire capability. Now you can start the welder using the exact parameters you need, and a blue LED illumination indicated when Auto-Set is activated. 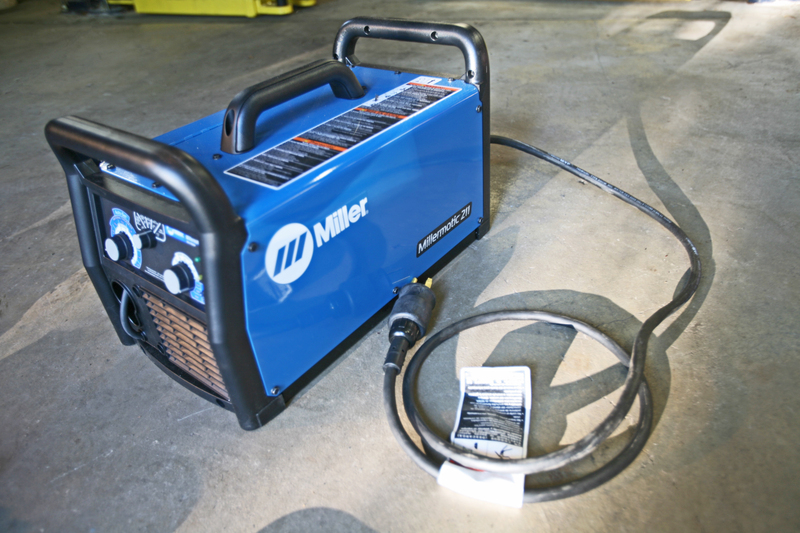 As far as cooling goes, the Millermatic 211 uses a Fan-on-Demand technology for the power source of the cooling system that only turns on the cooling system as needed. This not only reduces noise, but the amount of energy used and also keeps the amount of contaminates pulled through to machine to a minimum. 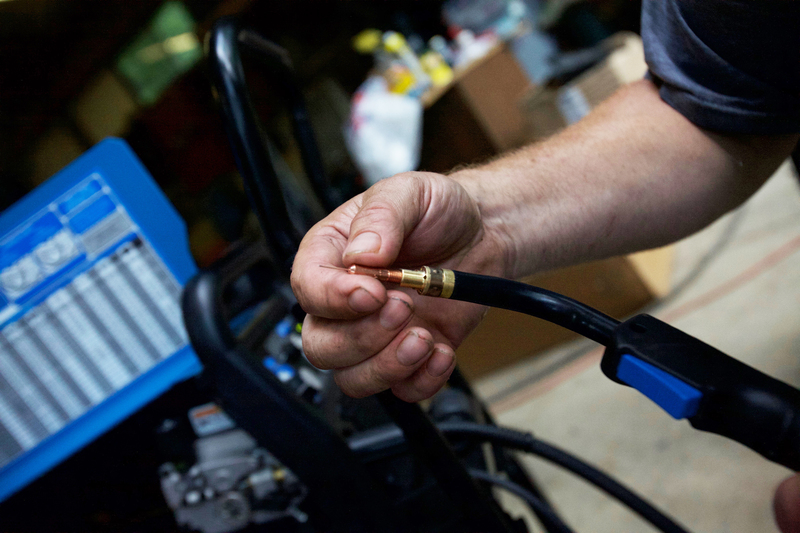 Thermal overload protection will shut down the welder and activate the over temperature light if the airflow is block or you exceed cycle duty, it’ll then automatically reset when cooled — this could seriously save the internal components of your machine. So on to the safety equipment, this stuff comes separate from the machine and running gear. 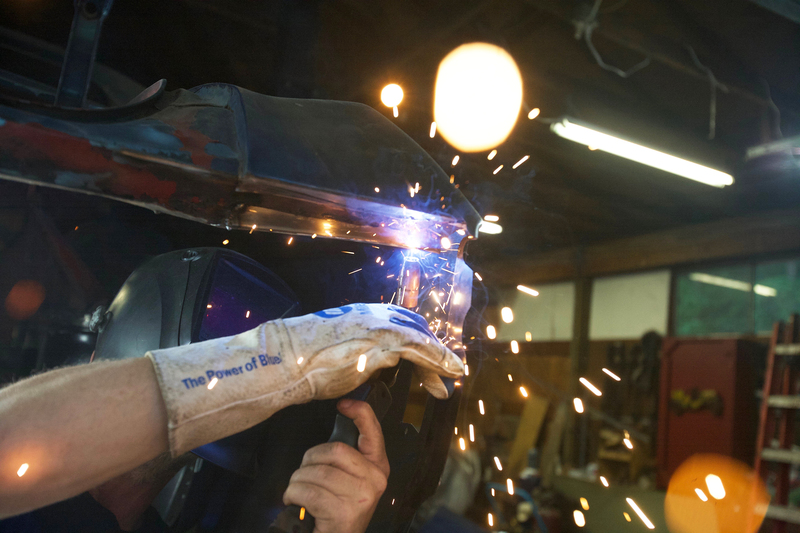 We grabbed a package of TIG gloves that are made for great dexterity and comfort, while also offering the protection and durability you need while welding. The black Digital Elite welding helmet was an easy choice that has high-performance versatility and uses ClearLight lens technology. And finally, the Combo Jacket combines the protection of leather with the breathability and lightweight characteristics of Indura material. So what are our overall impressions? The Millermatic 211 lives up to the hype, and then some. We had a couple of people in the shop try it out to get the full spectrum of impressions since we have both beginners and expert welders on hand. The beginners thought it was far easier of a rig to work with than the machines that they had been using to learn on, while the people with far more advanced welding skills were impressed by the little things, like spatter-free start and Advanced Auto-Set, as well as general ease of use and the maneuverability both with and without the cart. Bottom line: Any shop would benefit from having one of these on hand, even if you just have a home shop. One of the first things we’ve managed to tackle with our new Miller 211 was the installation of a new quarter panel on one of our project vehicles. We’ll be using the Millermatic 211 fore a long time!